22 inch Aluminum Wheels for the Volvo XC90 model 2016 and up. Price is for 1 wheel so order qty 4 for a set. 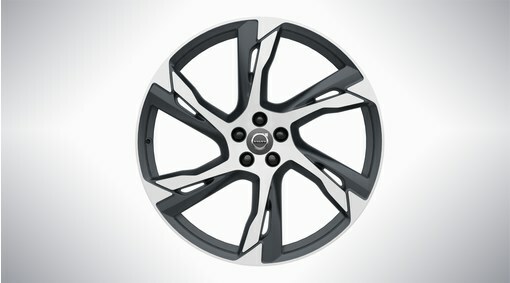 For more information about Volvo's aluminium rims, seeAluminum rims, general description. Fender extensions are standard on vehicles built between chassis numbers 009829 - 029405. "Application, deflector" is only necessary if the car is factory fitted with 235 mm wide tyres. Ordered according to separate procedure and downloaded using VIDA.